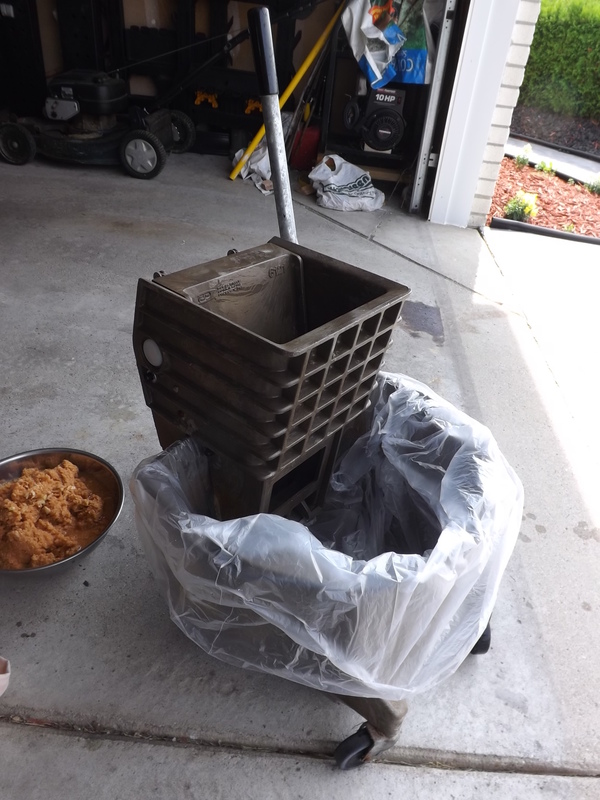 I know this might sound a bit crazy, but yesterday Zeb and I made fresh pressed apple cider using a mop bucket! Last year I found several people offering free apples on Craig’s List. Because apples are so expensive to pick at orchards, typically around $46 a bushel, I knew it was out of the question for me to buy apples to try pressing my own cider. Finding them for free was perfect. The only trouble then was how to make my own cider without a press. 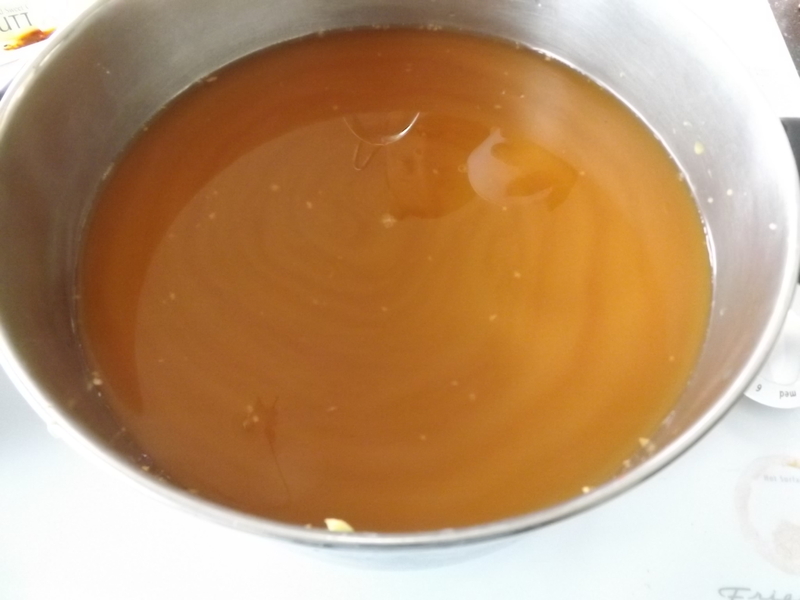 There are several ways to extract juice from apples, but most of the ones I found required cooking. I didn’t want pasteurized cider. I wanted fresh, unaltered cider. 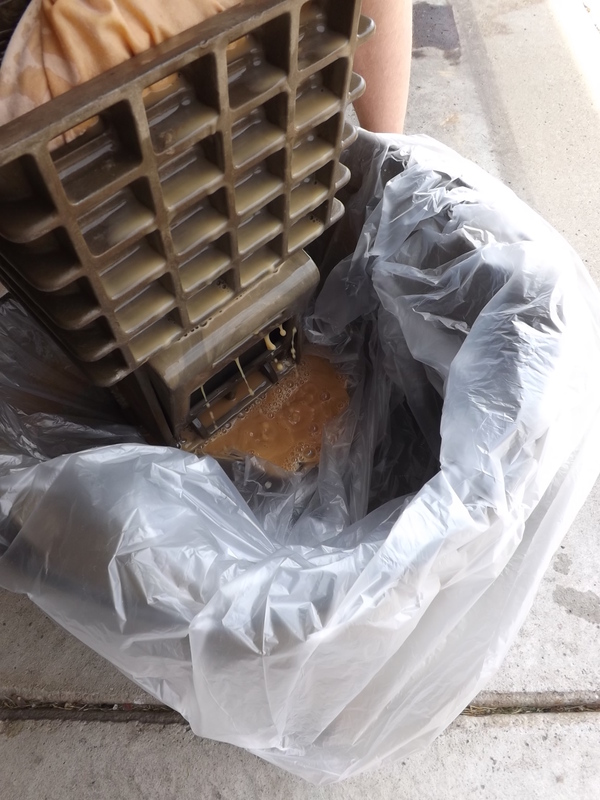 Continuing my search on the Internet I found a video where a man used a mop bucket to press cider. Sure a traditional cider press would be wonderful, but although Hubby has the skill to make one, finding the time and desire to make one is another matter. They cost around $200 to buy, so when I found a brand new mop bucket with wringer on Craig’s List for $7.00, I couldn’t pass it up. I was skeptical at first, but after the first couple gallons of cider, I was sold. It takes a bit of muscle and time, but is well worth the effort. Here’s how you do it. First, get some apples. I found some seconds at a fruit stand this weekend for $8 a half bushel. Next, quarter the apples. No peeling or coring necessary. 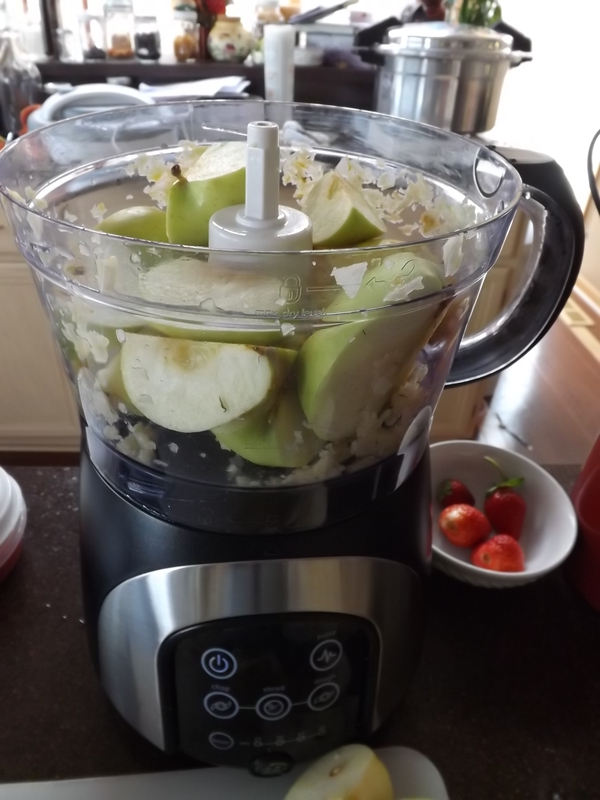 Then put the apples into a food processor. I am so happy I have my new one from my mother-in-law. 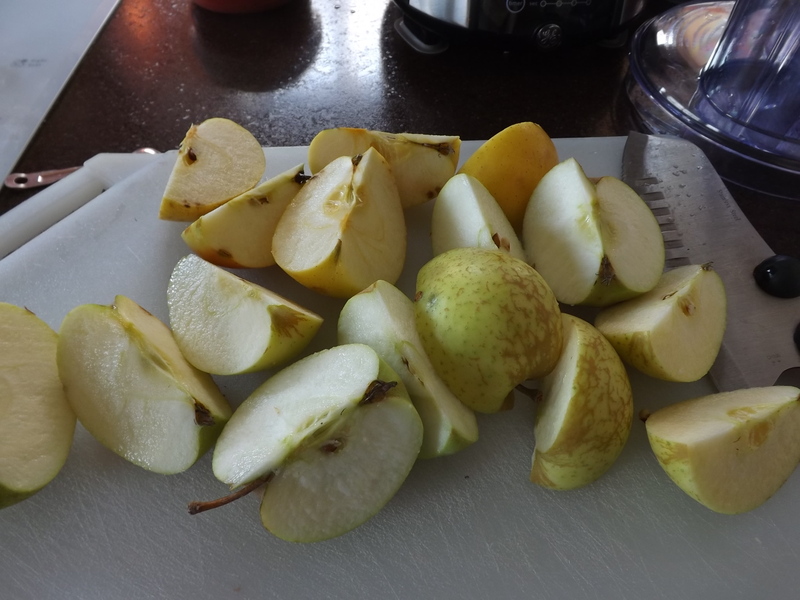 Process the apples until they are chopped fairly fine. Continue until all the apples are turned into pulp. Notice all the cider already collecting in the bowl. Once all the apples are chopped, line the mop bucket with a clean plastic bag. 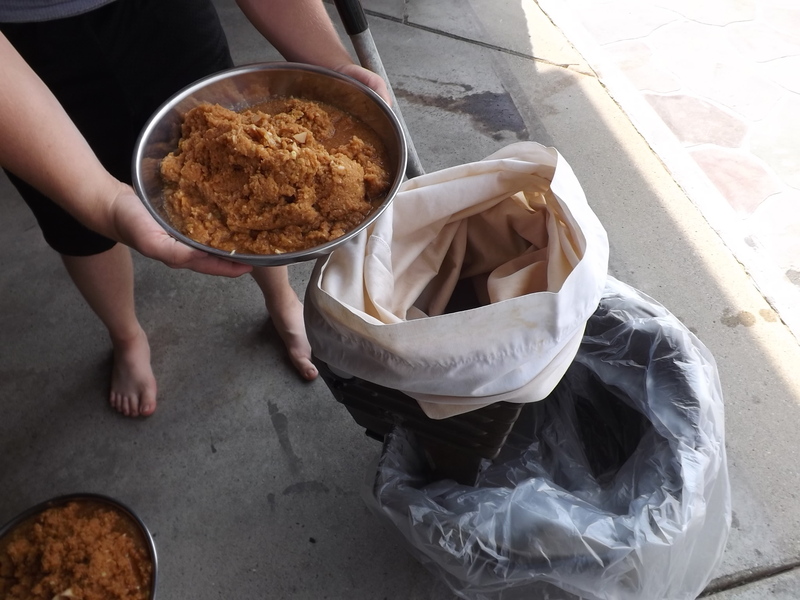 Next, take a clean pillow case and dump about 1/3 of the chopped apple into it. Twist the pillow case closed and put in the wringer section of the mop bucket. 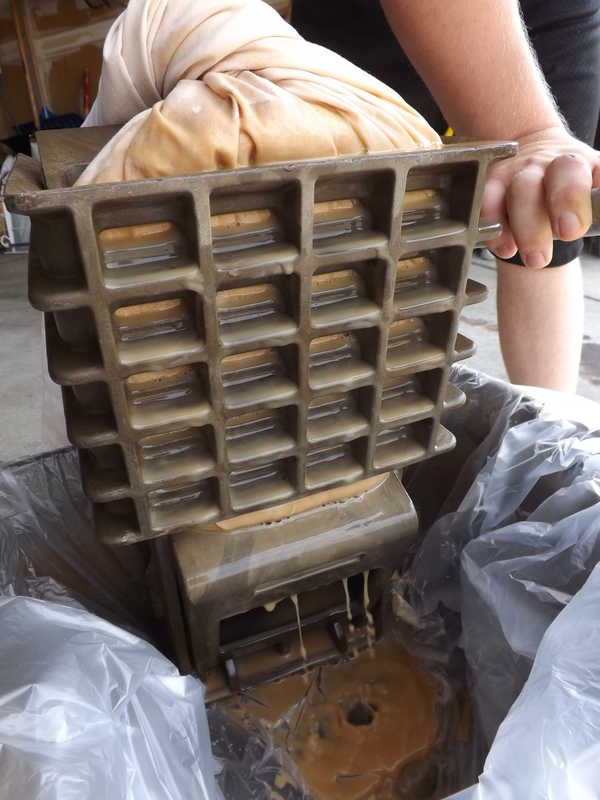 The pressing takes some muscle so be sure not to load the pillow case too full. 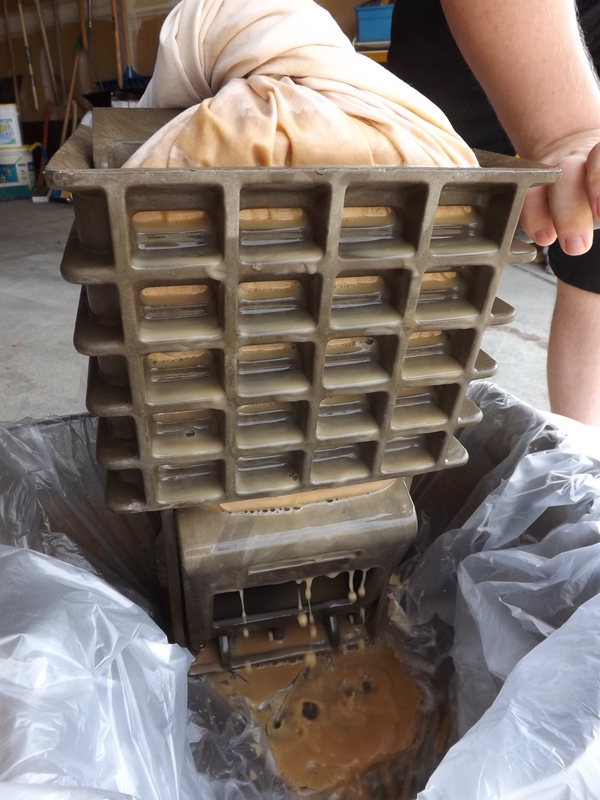 Also, the smaller the load of chopped apples in the wringer, the easier it will be to get the most possible cider extracted. 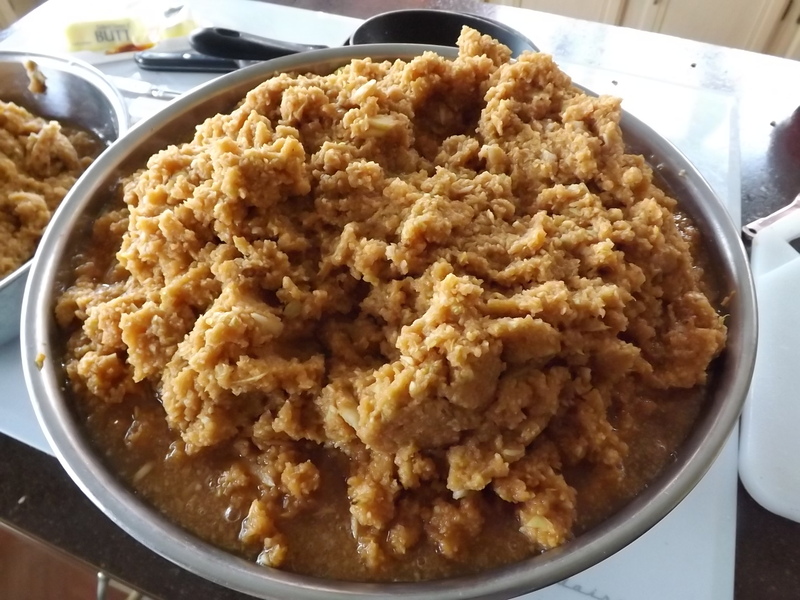 Once the cider stops flowing from the pillow case, remove the mash and start the process again until all the chopped apples are pressed. 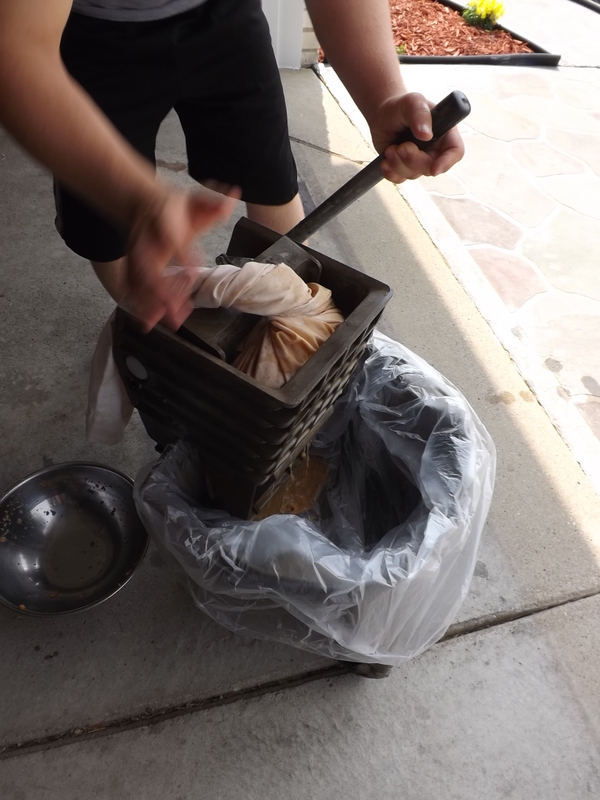 After the cider is pressed, remove the plastic bag full of cider and place in a pot, just in case the bag should break — yes I am talking from experience here. I lost nearly a whole gallon of cider last year when one of my plastic bags broke. 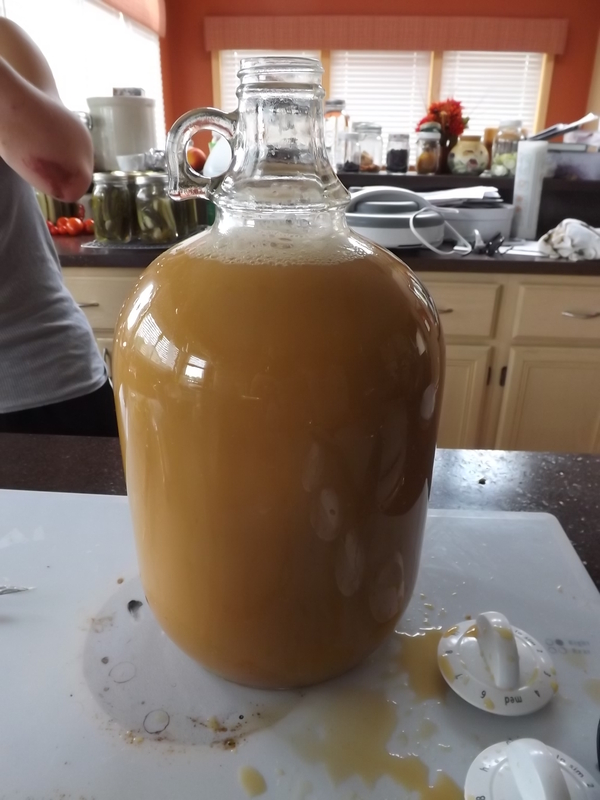 Finally, strain the cider into a container. 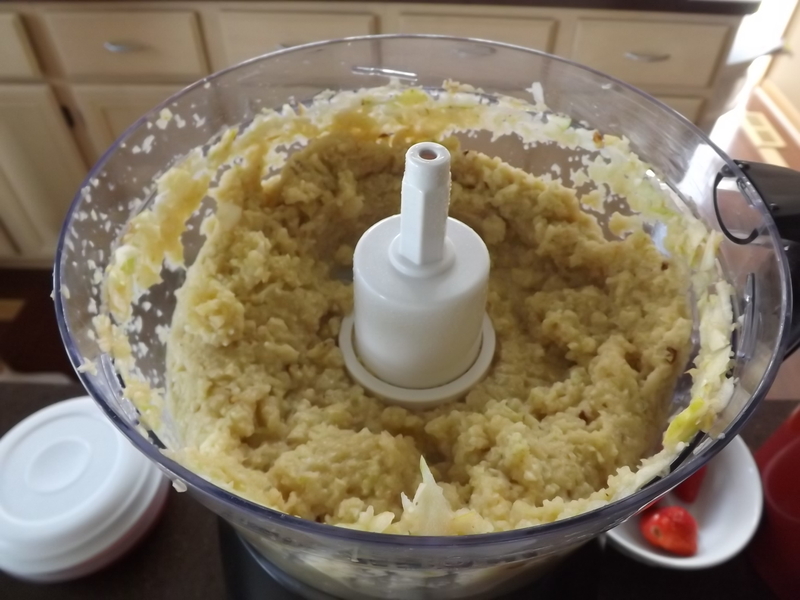 I strain it only because on occasion I drop small pieces of pulp into the bucket when transferring the chopped apples to and from the pillow case. This cider will keep for about a week in the refrigerator, if it lasts that long, but can be frozen up to a year. 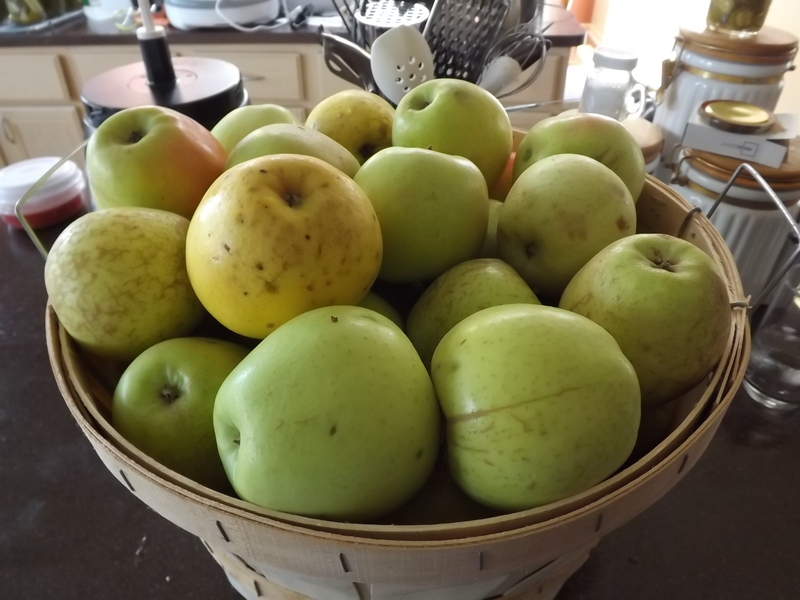 The half bushel of apples yielded a gallon and a half of cider. 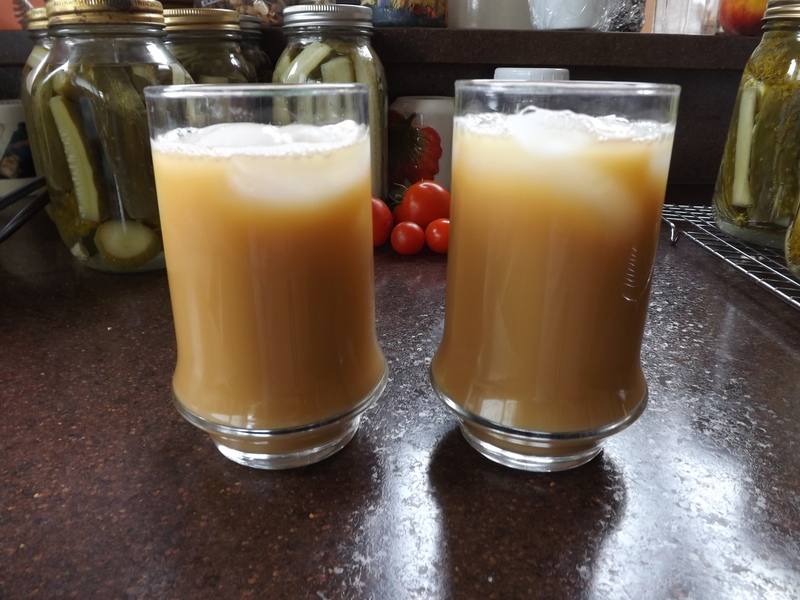 We are drinking it now, but when I make more in the coming weeks, it will go into recycled gallon milk containers that I’ll fill 3/4 of the way and freeze. There is nothing like the taste of pure, unaltered apple cider. It might be a bit murky, but it is pure as pure can be, and for this I am — Simply Grateful. It is so great when you can’t afford to buy a conventional press. I am so happy it works and am looking forward to making many more gallons of apple cider this fall. We have so many apples then we know what to do with! This is a great idea! It truly is. The person that came up with this really was creative. Hubby and I tried brainstorming other ways to press cider before we came across this, but to no avail. Thank goodness for the internet.